Shawn and I volunteered to serve at our church's community meal on Wednesday night. His parents came over to watch the kids for us. When we got home I bathed the kids and put them to bed. I could hear Gauge on his baby monitor moaning. I didn't think too much about it at first because he does that sometimes to get himself to sleep. When he didn't stop, I thought well maybe he needs another bottle. I went in to feed him, but he didn't want it. So, I put him back to bed. He was really restless. At midnight he woke up screaming! Shawn went in to get him and he was burning up with a fever and puking. So amongst all of the crazy thunderstorms, Shawn ran out to Kroger and got him some pedialyte. In the morning we got him in to see the pediatrician and found out that he had a double ear infection! So they started him on Amoxicillin. Two days later, we found out that a baby in Gauge's nursery had a confirmed case of whooping cough. So I once again got back on the phone with his pediatrician's office. 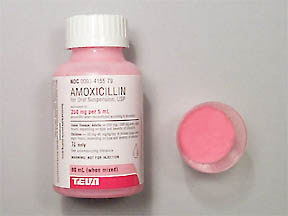 As a precaution they told us to stop the Amoxicillin and called us in a prescription for Zithromax. Ughhh...SO SORRY to hear about Gauge, AND YOU! It's terrible being sick and still having to take care of your family. Yay for your husband for helping out! It's such a relief, isn't it?